Enhance all of your inspirational activities or present as a thoughtful gift to anyone in need of a spiritual boost. 19-1/2” length. 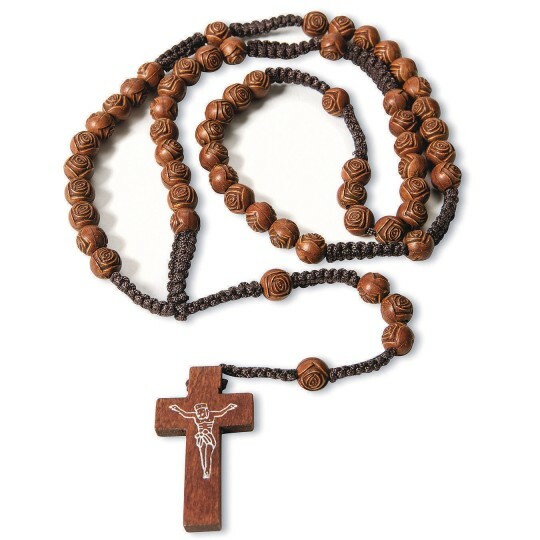 8mm plastic beads with rose shape and wooden cross.